Winter has already set in! While it is time to thank the stars for putting an end to all the sun damage that your hair was being put through, it is also time to start planning a haircare routine that is fit for winter. Summer might be gone, taking its troubles with it, but winter means a whole new set of problems that you need to deal with. While the season is perfect to get comfortable with a cup of hot cocoa, you can’t ignore the fact that the dry and dreary weather can wreak havoc on your hair if the right precautions aren’t taken. Your hair starts to find it harder to retain moisture, making it brittle and prone to breaking and damage, not to mention the frizz and static that often comes with your winter wardrobe. However, these are all problems that can be avoided with ease as long as you have the right hair care routine for winter. Your scalp is drier and itchier than ever during the winter months because of the lack of moisture in the air. This leads to issues like dandruff and aggravated scalp irritation, which can lead to hair fall. What most people don’t realize is that the dandruff problem can be super manageable with the right care. All you will need is a couple of tablespoons of olive or coconut oil and a teaspoon of lemon juice. Heat the oil for a couple of seconds until it is warm and then mix it with the lemon juice. Massage the oil into your scalp and leave it in for 20-30 minutes. Rinse it out with shampoo and condition. One of the most annoying things about winter is all of the static. 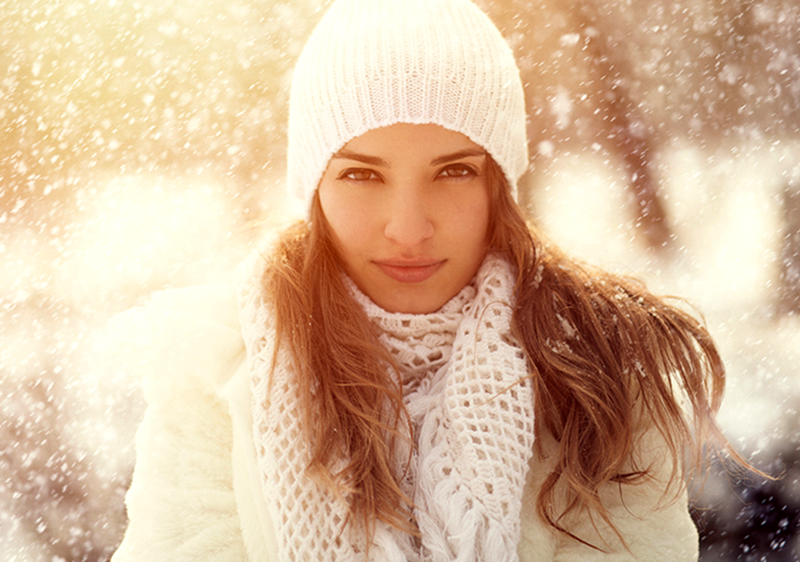 The hoodies, sweater, scarves, gloves, and beanies all seem to gang up on your hair, making it a static, frizzy mess. To tackle this, use a vented hair brush that has a combination of plastic and boar bristles while combing your hair. Wash your hair only with lukewarm water, not hot water, as the latter will strip away the natural oils that protect and nourish your hair. Apply a leave-in conditioner to keep your hair smooth. Warm up two teaspoons of olive oil and massage it slowly on your scalp. This slow massaging helps the oil penetrate deep into the roots. This will help to keep your scalp moisturized and improve blood circulation, ensuring that your follicles get enough nourishment. It will also prevent hair fall. Optionally, you can use a few tablespoons of the oil to coat the entire length of your hair as a deep conditioning treatment. Drying your hair out completely can be a pain, especially if you have long hair. But you should never, I repeat, never put your hair up while it is still damp. Damn hair and scalps attract a lot of problems like dandruff, breakage, and split ends. You must also never rub your hair dry with a towel as the friction will cause damage. The best way to dry your hair would be to gently squeeze the excess moisture out with a towel and then use a blow dryer on the cool setting. If you are using hot air to speed things up, ensure that you are holding the dryer at least 15 centimeters away from your hair. Your hair needs all the moisture it can get during winter, and this makes conditioning a vital part of your hair care routine. Using hair oils and deep conditioning packs at least once a week becomes vital for maintaining the health of your hair. It is important that you end every wash with a conditioner. Shampoo your hair and then rinse it thoroughly. Once all the lather has been rinsed out, start applying the conditioner from the mid-lengths to the ends of your hair. Concentrate on the ends as they are the oldest and most damaged parts of your hair. Leave the conditioner in for a few minutes and then rinse it out with cool or lukewarm water. It is advised to end a wash with cool water as this will seal in the moisture and leave your hair feeling smooth and looking lustrous. Make these tips a part of your hair care routine and your hair won’t even notice that winter is here. A little extra care can go a long way when it comes to ensuring hair health. Try out these tips and tell us about your experience in the comments section below.